MoistTech Corp’s sensors and gauges focus on the near-infrared (NIR) region of the electromagnetic spectrum to measure and control moisture from lab to line. Although the discovery of NIR is attributed to William Herschel in the late 19th century, the first industrial application wasn’t until the 1950s. One of the company’s engineer directors made a “leap in the technology” by developing a multiple filter gauge that compensated for drift, President Adrian Fordham says. “It is a technology that, combined with all the digital electronics and software, we leapt ahead in performance,” he adds. “In the past, we couldn’t measure certain products like coal, charcoal or other non-reflective products, but with today’s technology and components we can. “That was a big step for us to be able to measure the hard-to-measure products using our multi-beam technology,” Fordham notes. MoistTech manufactures non-contact online sensors with hundreds of measurements per second for thousands of applications in the animal and human food, chemical, mineral, paper, renewable energy, textile, tobacco and wood industries. The company offers a no-drift optical design to ensure the accuracy and repeatability needed without temperature control to keep stable. There is only a one-time callibration needed for the company’s sensors that allows operational personnel to confidently make immediate process adjustments based on real-time measurements. 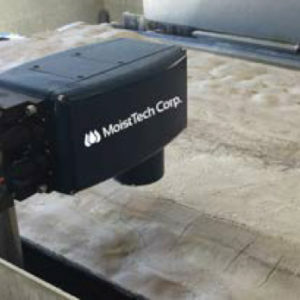 The biggest benefits MoistTech customers realize with its sensors are energy reduction and drying control. The large paper manufacturers, for example, control moisture at 4 or 5 percent to avoid curling. The pharmaceutical industry uses powder to make tablets and without the right dampness it will not compress correctly, but too much moisture creates a sticky powder. A typical cigarette is about 15 percent moisture in addition to other additives, for example. 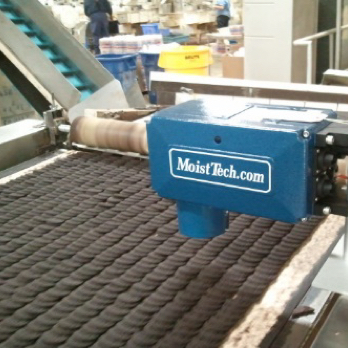 MoistTech’s food moisture sensor calibrations, measurement wavelengths, algorithms and sensor optical requirements are pre-set at the factory. Accuracy can be expected to be 0.1 percent on moisture analysis involving dried products, and between 0.2 and 0.5 percent on higher moisture applications. 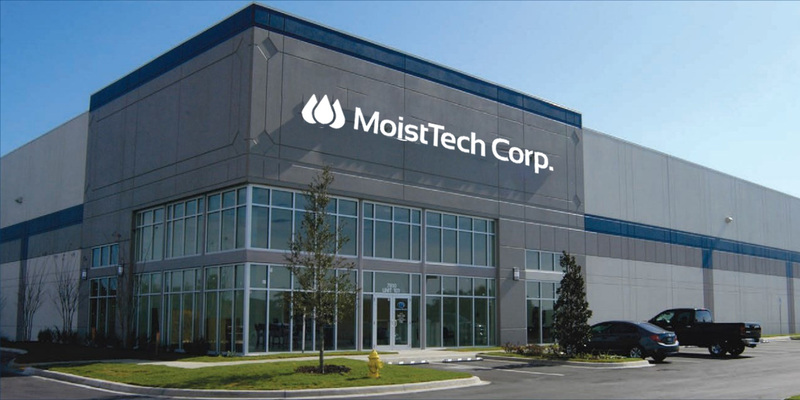 MoistTech is operating leaner today with an in-house staff of about 20 as most of its components come fully completed rather than needing to be manufactured. MoistTech sources its components domestically. “We keep good control that way and we work well with local suppliers because we don’t keep huge amounts of inventory,” Fordham says. The company has developed long-term relationships with a core group of suppliers for its critical components. “We want to keep our vendors happy so we can call up and get anything we want almost instantly. Everyone we know takes months to pay and we pay within four days – that’s the big incentive,” Fordham says. The amount of applications MoistTech’s sensors can work in is almost limitless, Fordham says. “We are at a period right now that growth rate is about 50 percent and we are actually on an uptick this year with the economy,” he adds.